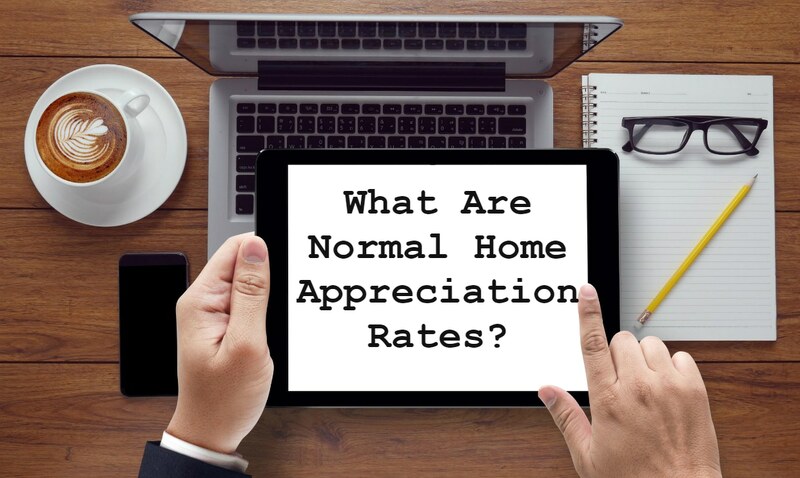 What are Normal Home Appreciation Rates? If you’re a homeowner or someone who is looking to buy or sell your home, you might be wondering what the outlook and history are of appreciation rates. Appreciation rates can determine the amount your house is worth and the amount in which it can sell. Home appreciation rates are not the same for different areas. Depending on where you live in the United States, your home may be worth more or less than the national average. Homes for Heroes is the most extensive organization of affiliated real estate specialists nationwide. We are committed to serving the heroes of this country such as members of the military (active duty, retired, and veterans), EMT’s, teachers, firefighters, and police offers. We offer rewards to heroes for buying, selling, or refinancing their homes through us. If you’re wondering what your home is worth, speak with an affiliated Homes for Heroes specialist today about your home’s value. Appreciation rates are the amount your asset increases over time. In this case, that asset would be your home. These rates can affect how much your home sells for in the future if you are already a homeowner and planning to sell your home. They can also change how much you pay for your home if you are looking to purchase one. Appreciation rates can vary depending on the location of the house, but there is a pretty steady national average that can help you make your decision. If you’re a hero in your community, Homes for Heroes would be honored to match you with a team of affiliated specialists in your area that can give you the best information and answers to your questions regarding appreciation rates and home sales in your community. Sign up today to speak with someone within 24 hours about your plans on buying, selling, or refinancing your home. Despite the fact that home appreciation values vary depending on location, the national average since 2001 has shown a steady incline each year of three to five percent. There is no universal rate, but in comparison of home values to the historical standards, we can see a pattern of appreciation throughout the years. For example, from 1968 to 2009, the value of homes increased 5.4%. Based on this pattern, the annual rate of appreciation during this term was 3.7%. You can only see normal national appreciation over the course of a period. Even though we cannot predict the future, we can look at history and hope that we will see the same kind of returns in the future. The economy also has a lot to do with appreciation values. Things like inflation have the power to increase or decrease the profit of homes. An increase in money supply causes things like house prices to go up, as well as everything else. That’s why we can’t just print more money. 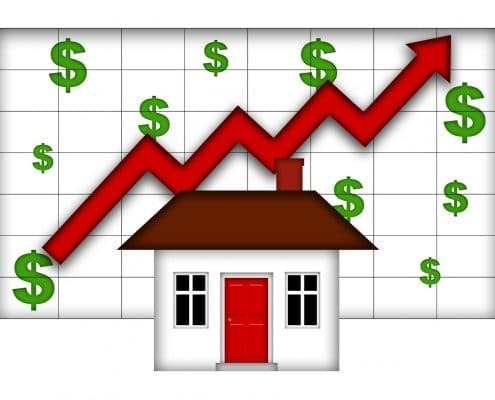 How do Rates Affect Home Purchases and Sales? When you buy a home, you’re investing. Just like any other investment, you want to know if it’s a good one. 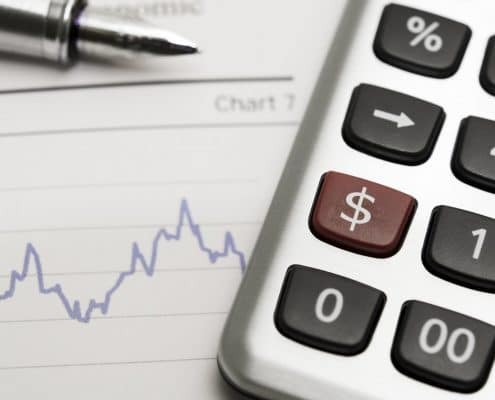 By understanding and looking at the past national averages specific to that area, you can determine if now is the best year to buy a home or if you should wait a while. The area in which you want to purchase a home can either have rates higher or lower than the national average of three to five percent. When buying a home, just one percentage point in the appreciation rate can make thousands of dollars of difference. If you buy a house for $235k and there’s a three percent appreciation rate every year, in 30 years you can sell it for $485k. However, if you add one more percent to that at four percent appreciation, you could sell it for $649k. That one percent difference makes for a much more significant payout. If you buy a home and the appreciation value is at least 1.7%, you could be living for free. At that rate, the increase in cost could be higher than the total amount you paid for the house, as well as taxes, insurance, maintenance, and insurance. So, how do rates affect home purchases? If you’re house hunting, you want to look at the pattern of appreciation in your area. This is done because the higher the rate, the more you could get out of it in the future. If you want to purchase or sell a home and you serve your community, Homes for Heroes would like to help you with your search. We match you with a team of affiliates who know your town well and will be able to advise you on home appreciation rates for your area. Sign up to speak with someone today about buying or selling your home and what the percentages are in your area compared to standard averages. If regular appreciation rates exceed the average of inflation, homes will become unaffordable. While you want the inflation rate to be high for your future payout, you don’t want it to exceed the inflation rate. For example, if the appreciation rate for homes in your area is six percent and the inflation rate is only five, then you will have a difficult time trying to sell your home because no one will be able to afford it. Finding a right balance before buying or selling a home is key to making a reasonable expenditure and getting the most out of your dollar. Appreciation rates determine how good of an investment you’re making when you choose to buy or sell your home. The national average for regular appreciation rates is three to five percent. Remember, these rates can vary depending on your location. A discussion with an affiliated Homes for Heroes real estate specialist can get you the information you need to determine if now is the right time to put your home on the market or make a significant purchase. Sign up and speak with someone today about appreciation rates in your area.